Greetings! Welcome to my website. My name is Jia-Xing Yue (岳家兴) (twitter: @iAmphioxus). I was born in Xi’an (西安), aka. Chang’an (长安), the greatest capital of ancient China. I attended Nanjing University in 2003 and got my bachelor’s degree there in Biology. I stayed in Nanjing University and continued to complete my master’s degree in botany (although I know little about classic botany :P) under advisement of Dr. Dacheng Tian and Dr. Sihai Yang with a focus on plant genomics and molecular evolution. Since then, I found myself deeply indulged in the field of evolutionary biology. Driven by this strong interest, I went to Rice University and joined Dr. Nicholas H. Putnam’s lab as a PhD student in 2010. For my PhD research, I worked on using next-generation sequencing technology (majorly 454 and Illumina) to understand the biology and evolution of cephalochordate animals (commonly known as amphioxus or lancelet). That is why I use iAmphioxus.org to name this website. :) I led a quite nomadic life during my PhD and was hosted by Dr. Daniel S. Rokhsar at UC Berkeley and Dr. Gianni Liti at IRCAN respectively during 2013-2015. My two great collaborators, Dr. Linda Z. Holland and Dr. Jr-Kai Yu offered tremendous help all the way along my PhD. I defended my thesis and graduated from Rice in May, 2015. I continued to work with Dr. Gianni Liti at IRCAN for my postdoc training with a 3-year fellowship support from Fondation ARC pour la Recherche sur le Cancer. For my current postdoc research, I am working on comparative genomics of two closely related yeast species (Saccharomyces cerevisiae and Saccharomyces paradoxus) with an emphasis on understanding the role of structural rearrangement and subtelomere dynamics in genome evolution using long-read sequencing technologies (e.g. PacBio and Oxford Nanopore). More details about my research projects can be found on my Research page. My latest CV is available here. Other interests: travel, soccer, hiking, cooking, film, painting, music. 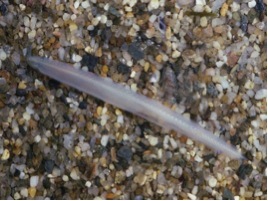 Amphioxus, aka. lancelet, refers to a group of fish-like marine chordate species. They live in shallow temperate and tropical seas, usually found half-buried in sand, with a global distribution. As the modern representative of the subphylum Cephalochordata, amphioxus is the best proxy we have for the common ancestor of chordate animals. Although diverged with vertebrate lineage more than 520 million years ago, recent evidences suggested they did not change much both morphologically and genetically. Using amphioxus as a model system, we can learn a lot about the origin and evolutionary history of early chordates. My collaborator, Dr. Linda Z. Holland, gave a great introduction about this fascinating group of animals on youtube: part1 and part2. And guess what? there is even an amphioxus song! The budding yeast, Saccharomyces cerevisiae, is a single-cell yeast species that has been associated with human activities (e.g. winemaking, baking, and brewing) since ancient times. In biological research, it is the single most intensively studied model organism that has illuminated almost every aspects of molecular biology and genetics. Speaking of this, there is also a dedicate song for this awesome model organism. Ironically, our understanding in their ecology and natural history outside the lab remains rather limited. In nature, the budding yeast can usually be found on ripe fruits and oak trees as well as human-associated environment such as breweries and bakeries.